So the other day I was looking for a short kids movie to watch with my sons on Netflix. The featured video was the Kung Fu Panda Holiday. Since it featured all the original cast, and I happen to like the first two Kung Fun Panda movies. Any way, to give you the briefest of synopses: Po (the panda and Dragon Warrior, read really important kung fu person) will be hosting the annual winter, undefined holiday feast at the Jade Palace (place where all the kung fu masters we met in the first movie live). This feast is highbrow. Elegant is the word of the day. Every hand gesture Po makes has meaning. Contrasted with this is the Christmas party Po’s adopted father (a goose) holds at his restaurant. This party couldn’t be more common (as Shifu says). Po feels torn in two. Should he take up the responsibility, and honor, and serve as host at the Jade Palace, or serve noodle soup with his father and their friends from the village. This is the dilemma. Should Po participate in the High or the Low? The answer, in the end, is the low, the common. Here all are welcome. The kung fu master and the low slinger of noodle soup. While cute and adorable and prioritizing family, I think the answer is a bit flawed. In Christmas particularly do we have a coming together of the High and the Low. Although I think this only possible when we have a church celebration of the Nativity on the 25 of December. Let me explain: Particularly in a high church “style,” but ultimately any time we gather to worship, we experience something of the high. We bring ourselves in a corporate setting into the presence of God (not that God is ever not present, but in worship, in liturgy, we have the opportunity to bring time into eternity). In this sense nothing could be higher. When placed within the trappings of a high mass this becomes even more evident. And yet a proper celebration of Christmas does not end with a church service. A celebration of the birth of Christ is not complete without feasting with one’s family and friends. Good food, games, and traditional folk songs, along with generous amounts of wine, beer, and spirits. Nothing could be more low, more common. We join in our homes, however “homely” and share in life together: we laugh, we fight, we sing. These are things common to all people. And they are beautiful in their lowness. Christmas, in fact all of life, requires both the high and the low. I’m reminded of a story told to me by one of my PhD supervisors. He had been tasked to deliver a homily at the wedding for the child of a friend and mentor. Rowan Williams, the former Archbishop of Canterbury, was performing the actual sacrament. As the stood on the lawn outside the church, the bride along with her family and other members of the wedding party were paraded through the village. After the service, at the reception, the father of the bride gave a long and rather theological speech. When he finished, the father of the groom stood up, noticed the rather highbrow nature of things up to this point and so led the whole reception in singing an old folk song. Everyone joined in, even the father of the bride with gusto. This is a picture of what I’m talking about, the wedding of the high and the low. Both are necessary for a full life and make up the proper celebration of all holidays, Christmas not the least. So, this Christmas, let me encourage you to seek the high and the low. By all means enjoy time with your family and the giving of gifts, enjoy your family traditions, But also make sure you enter into the presence of God. Enter into the throne room of God by entering into corporate worship with your brothers and sisters in Christ. We must keep the Mass in Christmas as well as the feast in the Feast of the Nativity. Until then, enjoy Advent and prepare yourselves for the coming of Christ. Today is the last day of the year. I don’t blame you if you didn’t realize that New Year’s Eve was actually tonight. After all, it’s never the same one year to the next. For those who didn’t know, tomorrow is the first day of Advent, which is the first season of the Christian Calendar. Tomorrow begins a period of fasting and waiting. This year I feel in particular need for a fresh start, for Advent. Advent swoops in like a mournful owl searching for its evening sustenance after the longest period of Ordinary Time in the Church Calendar. Ordinary Time, the season in which we are still in for today, is a time for us as Christians to remember that the Holy Trinity is active in every season of life, including the mundane, sometimes especially the mundane as the Nativity itself reminds us (for what is ultimately more commonplace than giving birth and being born). I’ve always struggled with this long period of Ordinary Time. My prayer routines tend to fade; I slip much more easily into those pet sins I carry round with me like an evil dragon perched upon my shoulder whispering the unspeakable to me. Now don’t misunderstand me, many good things have happened during this Ordinary Time: I passed my PhD Viva, got two book contracts, have watched my boys continue to grow, and more. But still, as I wrote to you yesterday, the virtues I have attempted to cultivate have shrivelled and been replaced by vices. I need Advent. I need this period of fasting to help me gain the mastery over my body that God gives to those who cooperate with his grace. What’s more, I need the Nativity and all the other feasts that will greet us at the beginning of this new year. I need to be reminded of the extraordinary ways God has been present in our world so that I can be better prepared to look for him and work with him in the ordinary times. In truth, there are no ordinary times. 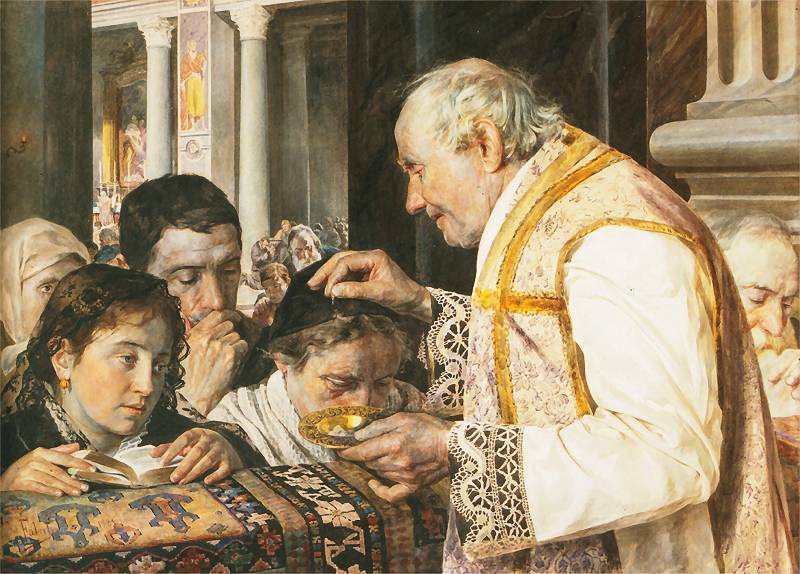 Josef Pieper, a twentieth century Catholic theologian and philosopher, writes that, “in fact the liturgy only knows feast-days, even working days being feria.”⁠1 For Pieper, the Eucharist, which is the heart of all Christian celebrations, so transfigures time that in one sense it turns every day into a feast day, even the days on which we work or fast. I’ve lost sight of this over this most recent Ordinary Time. So this year, I need Advent more than ever. I need the extraordinary to remind me that in one sense there is no ordinary. The whole cosmos is graced, gifted its being by the Almighty. The fact that there is a day at all is extraordinary. The fact that there is a you, a me, that there are rocks and trees and animals is just as extraordinary as the fact that there are angels, for we all, from the highest order of angels to the lowest order of matter come from the same source, the One who is Three, the One who is Truth, Beauty, Goodness, Unity, and Being. Pray for me, as I will pray for you, that together we may be reminded through these times of intentional fasting and feasting that begins with Advent, that the world is extraordinary precisely because it was an act of pure gratuity on the part of God. Pray that we may have our vision transfigured so was can see the world around us anew, so that we can see past the mist and shadows and catch glimpses of Reality. This is why this year I need Advent. Well, as often happens, the books I read have changed since the last time I updated you on what I’m reading. Here’s the new list. Speyr is a new author for me. I’ve read so much about her in the works of Stratford Caldecott. She’s a Catholic Convert and a mystic whose confessor was Hans Urs von Balthasar, another person whose had a profound impact on me. This book is a series of reflections on the Virgin Mary. I’m not very far in since I’m just reading a chapter a day for Lent. Already there is some real beauty in the way she expresses herself and describes the Mother of our Lord, but there are some parts I struggle with. I love Mary, and covet her prayers, but I am not settled on some of the titles ascribed to her, like Mediatrix. This will be a profound and provocative read for me, challenging both my Protestant presuppositions, and my Catholic leanings. I started looking for something like this when I first came across the prayer for Scholars by Thomas Aquinas. So I was quite pleased when I found a Latin and English edition of some of the prayers and songs of the angelic doctor. This book is fairly simple, each prayer is in Latin on one page and English on the adjacent. The prayers themselves are beautiful and the editors have laid them out like poetry. I’ve also been using this text in my Lenten devotions. I have decided to say one prayer a day for each day in Lent, first in English and then again in Latin. I’ve been enjoying my reading of Anselm. It was great to read the Monologion and the Proslogion together, something I’d never done before. I haven’t started reading this one yet, but it comes in a little semi-related trilogy with On Truth and On the Free Will. 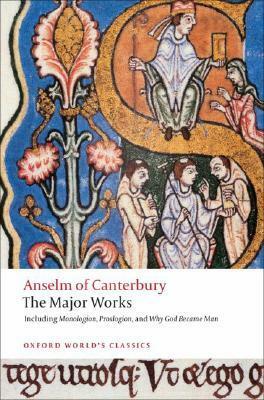 Anselm’s dialogs are masterful and I look forward to reading this one as well. How many times have I read this book? Multiple times a year since it came out; so some might say too many. Still, I love the Harry Potter series. It has its flaws, Rowling is not the theologian that say Lewis, Tolkien, Sayers, Chesterton, or O’Connor are. 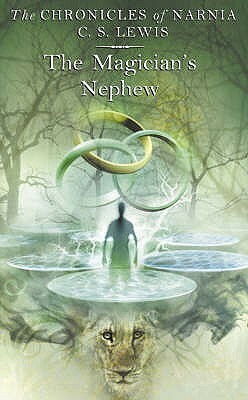 Even in presenting a world that is meant, in some ways, to be Faërie, yet it is plagued with all the same problems our world is. Nevertheless, this story of hope and salvation is one that I am constantly drawn to. Half-Blood Prince is in weird place for me. Order of the Phoenix is somewhat of transitional book. In the previous four it’s all about keeping Voldemort from coming back or fighting against his effects (Tom Riddle from the diary, Peter Pettigrew, or Death Eater at Hogwarts). Then, once he returns at the end of Goblet of Fire each book is about defeating him outright, but Order of the Phoenix is only the beginning of that story and is the beginning of the darkness. 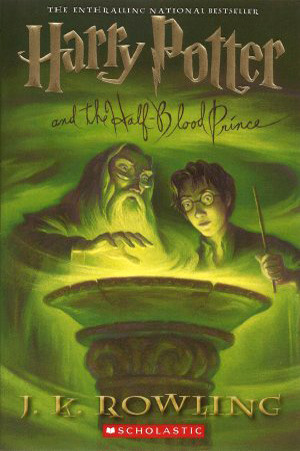 Therefore, Half-Blood Prince sees the real preparation of Harry by Dumbledore for ultimately defeating Voldemort. This can make it feel like its simply build-up for book 7. The first three are absolutely stand-alones, most of book 4 is as well. This book cannot stand on its own. It is pure preparation for the final battle. I’ve decided to read Lewis’s books in the order he wrote them, roughly. This means I’m finishing with The Magician’s Nephew. It’s a really interesting experience. In The Last Battle, we see the end of Narnia, or the shadowlands Narnia anyway. Now, however, after Narnia’s death, I get to visit Narnia one last time. I get to visit it at the very beginning. In a way, it feels like reading Genesis after reading Revelation. Doing that would change how one reads Genesis, for the better, I think. However, at least as regards Narnia, I think you can or should only do this after you’ve read the books once before. Getting them in intended order first allows for one to then read them in a new order and see how that changes one’s perspective from the original reading. Anyway, this is what I’m reading now. What are you reading? Lent is nearly upon us again. While both Advent and Lent are times of fasting, Lent feels very different from Advent. Part of that probably has to do with how our culture deals with Christmas and Easter. Christmas is more deeply rooted in our culture, with more common customs and rituals. This plays out into Advent as we buy Advent calendars, begin singing Christmas carols and other wintry songs. What Easter and Lenten customs there are and have been are less firmly rooted in our cultural consciousness. Sure we have candies and flowers (though candies are typically off limits in Lent). We have few Easter songs that everyone knows, the way they might “Joy to the World” or “What Child Is This?” or “Silent Night”. But there’s something more. Advent leads us to a simply joyous event: the birth of Christ. What pain there is in childbirth is quickly overcome once the child is here. In Lent, however, not only is our focus in part on our sinfulness, but also on the Light having gone out of the world. We aren’t Mary awaiting the birth of the Lord, but Israel awaiting the end of the dessert wandering. Equally, rather than passing through labour, we must pass through the grave (and quite probably Hell) before we can reach the celebration of Easter. However, this ought to make Easter all the more joyous for us, for in it is bound up all the pain and suffering of life in this fallen cosmos. As I said, Lent is a time of fasting. Now traditionally, this is a food and drink fast. That is, people fasted typically from various meats, flour, butter, sugar, oils, alcohol, etc. I still hope to do a proper Lenten fast in this fashion someday. However, this year is not that year. Instead, I am fasting from most social media, primarily Facebook and Twitter (don’t worry, I’ll still be writing here). I will also be fasting from iPhone games. I tend to get rather addicted to these games, so I thought it appropriate to give them up. I’m also giving up sweets this Lent. I have an insatiable sweet tooth and little self-control. So, no more sweets for me. Sundays in Lent are feast days, though typically it is a complete feast since you’ve typically gotten rid of all your flour, butter, etc. Nevertheless, I will be indulging in some sweets on Sundays, but still not social media or phone games. Another plan I have for this lent is to get more disciplined in my prayer life. I’m typically fairly good at getting Morning and Evening prayer in most days. But I want to do better. I also want to add a few more set times of prayer. So, some time in the midmorning, I plan to pray the Rosary; in the early afternoon, I will say a prayer from The Prayers and Hymns of Thomas Aquinas. The final thing I’ve decided to do for Lent is to read some spiritual books I’ve never read before. I may add more as I finish the two I’ve set myself. 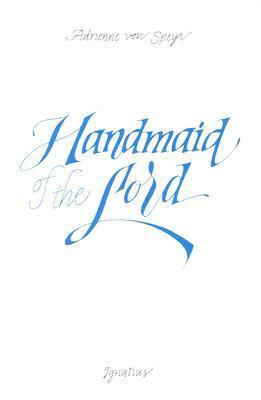 The two books I’ve already planned to read are The Handmaid of the Lord by Adrienne von Speyr and The Cloud of Unknowing by an unknown Englishman in the late fourteenth century. I chose von Speyr’s book because she is a relatively contemporary mystic who saw many visions. She was also heavily influenced by her confessor Hans Urs von Balthasar. I chose the second as my ancient/medieval read. I know very little about it and look forward to learning more. So, what are you doing this Lent? How are you preparing yourselves for the death and resurrection of our Lord and Saviour? Are you giving anything specific up, taking anything specific up, or reading anything in particular? Do let me know. Today is the feast day of St Thomas Aquinas. St Thomas was a Dominican Friar from Italy who taught at the University of Paris. The good doctor has increasingly become an important part of my life. Not only has his theological acumen enhanced my own, meager as it may be; but I have lately been equally influenced by his prayer life. Thomas had a profound prayer life, and according to his hagiographer was subject to visions as well. and enjoyment of Your divine majesty. of men and angels around me. and the gentle repose of Winter. From Aquinas, Thomas. 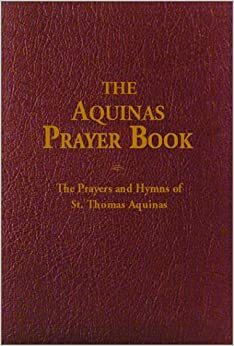 The Aquinas Prayer Book: The Prayers and Hymns of St. Thomas Aquinas. Translated and edited by Robert Anderson and Johann Moser. Manchester: Sophia Institute Press, 2003. *I chose to translate vernalis as Vern, rather than the translators choice of Spring, simply because I prefer the symmetry of two latin based names for seasons and two Anglo-Saxon. The Christmas List: Training in Covetousness or the Training of Desires? Last year I wrote a post responding to a new professor at my alma mater on Father Christmas. The problem, according to Dr Samples, is that Father Christmas/Santa Claus has become a source for perpetuating economic disparities. As I noted in the post, a friend of mine once told me that she discovered Santa wasn’t real because the rich(er) kids down the road got more and more expensive presents than she did. Recently, a new friend of mine, writing an excellent series of posts concerning the United States’s unnamed god, Affluence. He suggests that by training our children to write Christmas lists is to train them in the worship of affluence by teaching them to covet, to desire things they don’t have but want to have. However, I think the Christmas list and the presents brought by Father Christmas do not have to be trainers in covetousness nor perpetuations of economic disparity. Now, first let me say that nothing will stop some parents from lavishing their children with presents at Christmas time. I was spoiled as a child, all the time, not simply at Christmas. However, I was trained not to brag about my presents because not everyone could get the same things I did. This actually taught me to share, but this is besides the point. If we cannot permanently change how our given neighbourhood parents “do” Christmas, as regards presents, we can change how we and our churches do it. Let me suggest at least one way. A professor of mine talks about training his children’s desires. He will ask them what they want (desire) for dinner. They might say chips (fries), or candy, or fast food. He will then tell them that instead of any of those things they are having baked fish (or whatever has been made for dinner). The point is to teach them what they ought to desire. By allowing them to voice what they really do desire, but not give it to them, he is helping them learn what they ought to desire versus what they do desire in a given instance. I’m sure this ends in meltdowns and tears often. I’m equally sure that some nights he gives in. But the point is to try, to try to change their desires from low things, that can be good at times, to higher things that are much better. When we allow our children to make Christmas lists that they send to Father Christmas, we’re allowing them to voice their desires. Yet we are not bound to get anything on those lists. Some items may be intangibles, I frequently asked for snow. Others may be well outside of the parents’ price range. J. R. R. Tolkien used to write letters from Father Christmas to his children. While as the stories grew so did the Father Christmas mythology, equally, most of the letters are a way of explaining why the children didn’t get everything on their lists; typically, this is because of some catastrophe that happened at the North Pole. I think we can take this a step further. I do not have children old enough to ask for anything for Christmas yet, so these are purely ideals that will likely change over time. Nevertheless, I think there is a way that we can allow our children to give voice to their desires in the Christmas list that will be beneficial to them, especially when they don’t receive all the things they asked for. A child might ask for the latest video game system and instead might get a book. A child might ask for a pony, or even a puppy, and yet only get an art set. It’s likely they will be sad not to get all the things on their lists. Yet, if we as parents continue to get them things that are good for them (I am not suggesting that video games, ponies, or puppies are inherently bad for children, just that they represent rather expensive options that parents may not be able to buy their children) we can train them in their desires; and I think we will see a change in what they ask for, because their desires will be being properly ordered. Parents of children who actually ask for presents, what do you think? Am I completely off base here?